If you’re looking for a healthy, make-ahead breakfast to go, try chia pudding! 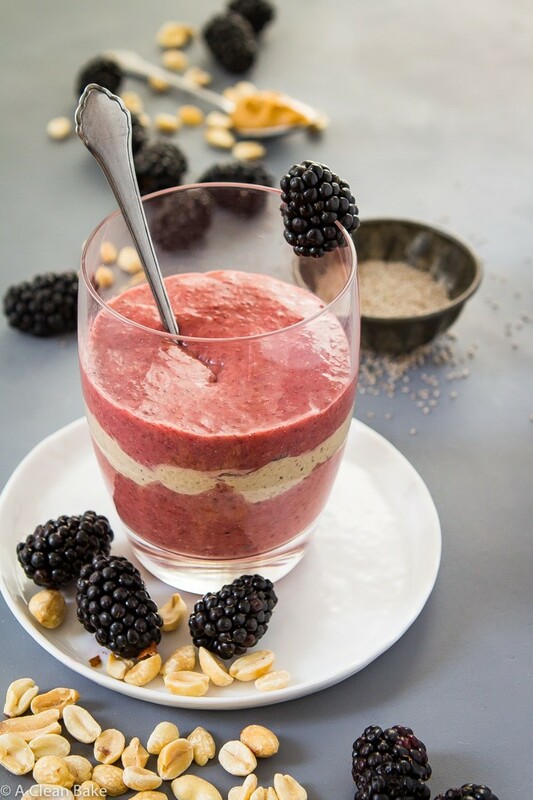 This peanut butter and jelly chia pudding tastes just like a PB&J sandwich. 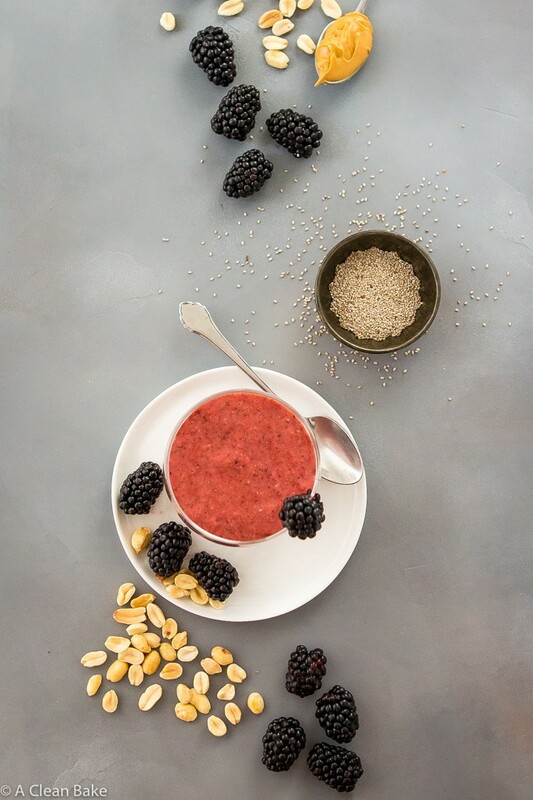 We need to talk about chia pudding. Actually, we probably needed to talk about it, what, 3 years ago, when it was oh so trendy. But we didn’t, because I hated it. Do you know what happens when you allow chia seeds to sit in liquid, absorbing as much as they please? They swell up into gelatinous blobs that taste like something from the deepest, darkest, most forbidden depths of the sea that, frankly, humans aren’t even meant to lay eyes on, let alone eat. I don’t eat bugs, and I don’t eat deep sea creatures. I have to draw the line somewhere, sorry. 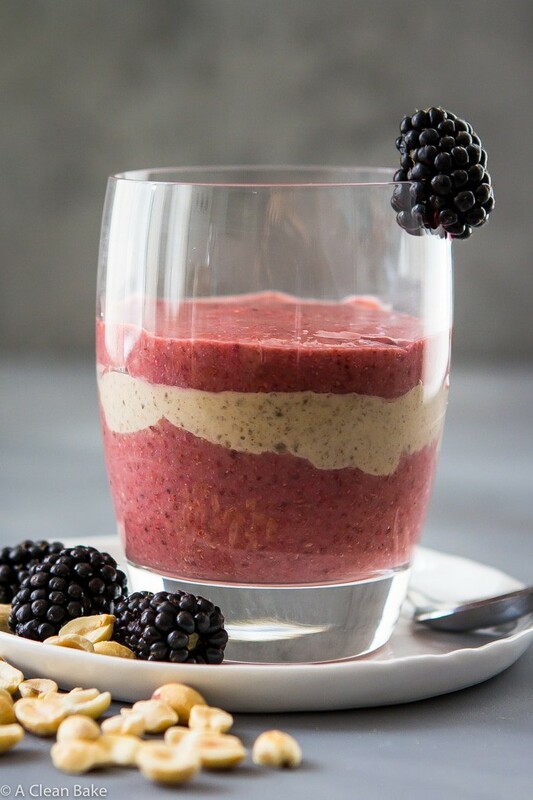 So why are we talking about chia pudding today? What has changed? When you allow chia seeds to absorb not just any liquid, but richer, fattier liquid (coconut milk), and then puree them into a smoother, more uniform consistency, that’s the magic moment when they finally start to resemble pudding. Like, actually pudding. What you expect pudding to be when you hear the word. Not a slurry of sea creatures. 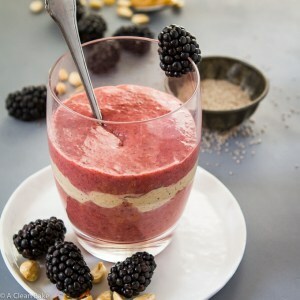 Just rich, smooth chia pudding that tastes just like a peanut butter and jelly sandwich. Perfect for back-to-school, right? Nothing says fall, lunch boxes, and the end of relaxed vacation-y summer mornings like pb&j flavors (and also, incidentally, make-ahead breakfasts that you can prepare in a jar to grab from the fridge and eat on the run if necessary). But seriously: it really does taste like a peanut butter and jelly sandwich. If I were you, I’d be asking myself why bother? 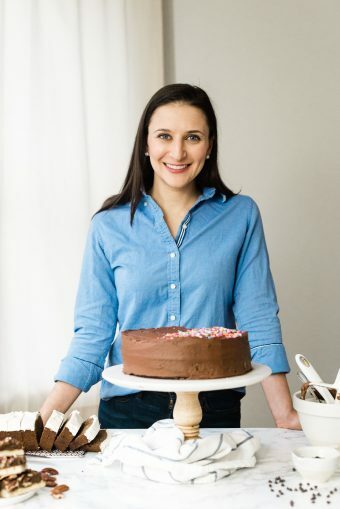 Why would a lunatic blogger like this Nora person even bother coming back to Chia pudding again and again, year in and year out, giving it chance after second chance? It’s the chia seeds. Those little buggers are miracle foods. Superfoods, some (with marketing related incentives) might say. I will not say. I will tell you that these are nutritional powerhouses, packed with healthy Omega-3 fatty acids. In fact, if you don’t like fish, or those fish oil supplements gross you out (🤢 Fish burps 🤢 ), chia seeds are a decent vegan/vegetarian alternative source of these essential fatty acids. They are also high in fiber and antioxidants and relatively high in protein. I used these organic white chia seeds, but you can use black chia seeds if you prefer, and your pudding should taste the same (the color might be a little darker though). You can find chia seeds online, or in stores. Look in the health food aisle of major supermarkets, or the bulk bins at Whole Foods often have white or black (or both) in stock. You can make it paleo easily, by using almond butter or whatever nut/seed butter you want, in place of the peanut butter. Same goes for making it nut-free (use seed butter). You can leave out the stevia to make it a perfect Whole30 breakfast. Just know that, in order to get the “jelly” flavor, you do need a touch of extra sweetness. And, of course, you can make this recipe in advance, double it, store it, maybe freeze it, eat it on the go, and never have a reason not to have a healthy, filling, and really, really, enjoyable breakfast on hand! In a small bowl, stir together the coconut milk and chia seeds. Transfer to a small blender or food processor and puree with peanut butter and stevia. Cover and refrigerate for at least 20 minutes, and ideally overnight, to thicken. Transfer to a small blender or food processor and puree with strawberries, stevia, and lemon juice. Pour half of the peanut butter batch into a bowl, jar, or glass. Spread into an even layer. Add the entire strawberry layer. Top with the remaining peanut butter mixture. You can use fresh or frozen strawberries. If using frozen, make sure they are thawed and that you include the liquid that they release when defrosted. This recipe is already conveniently compliant with many special diets. It is gluten free, egg free, dairy free, vegan, and sugar free. You can leave out the stevia to make it a perfect Whole30 breakfast. Just know that, in order to get the "jelly" flavor, you do need a touch of extra sweetness. You had me at “gelationous blobs” 😉 Seriously, I need to PB&J me some chia seed pudding ASAP!